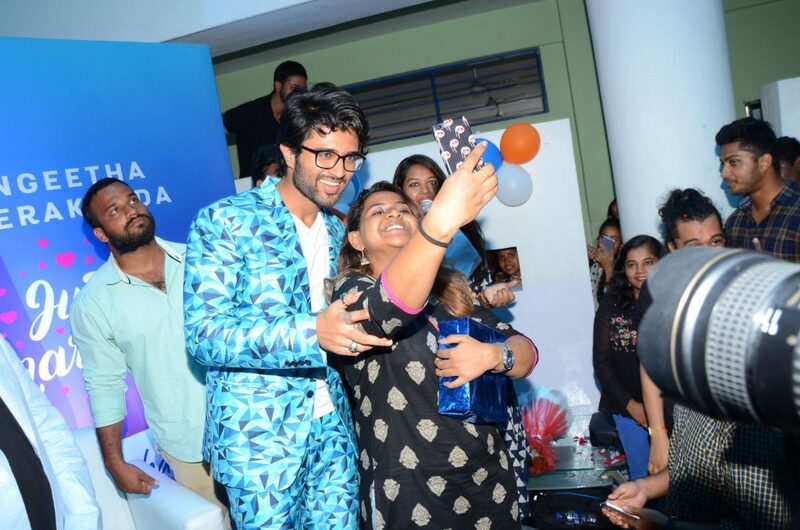 All roads in Hyderabad would lead to Jubilee Hills on Sunday when actor Vijay Deverakonda has invited the entire media and his fans for a surprise party. “It’s the first big sundowner party for my fans, whom we call the Rowdies. It’s a big day for the Rowdies. Secret invites will be sent to approximately 200-500 Rowdies…the number is yet to be decided. It will be decided depending on the number of fans we can control. Two important announcements will be made at the party,” Vijay said. Also at the party would be the big Filmfare trophy award auction. “I had promised to auction the Filmfare trophy I won for Arjun Reddy.We’ll be seeing this through at the party. Hopefully we’ll raise some money for charity,” Vijay said.